Well, I hope 13’s a lucky number. I went to dinner the other night at the Golden in the Tower District, came away with enough leftover asparagus and salmon over chow mein noodles to carry me well into the next day. Well, maybe this is finally the week Mr. Flynn swings onto the branch in front of me to cheerily welcome me to the next wonderful phase of my life. Everything being relative, I don’t know whether that means bloom time in Fresno, where the Blossom Trail is reaching full swing, or back in the Northeast, where my father tells me the snow will probably finally melt in July. Here’s to many blooms. And soon. ‘Cause I’m tired of saying that all through the damn picture. 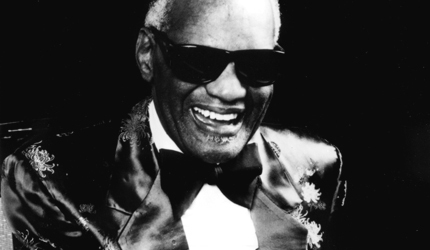 Ray Charles will tell you "I've been a very, very blessed, fortunate human being." There’s simply no way to do Ray Charles justice in the confines of a newspaper; even a magazine piece may not be long enough. Despite his out-and-out humility, this is one of the pivotal figures of American culture — maybe not the most influential, but one of the most transcendental, and easily one of the most recognizable. Forget about the Diet Pepsi commercials and the “Uh-huh”s; forget about even his individual hits — “I Got a Woman,” “What’d I Say,” “Hit the Road, Jack,” “I Can’t Stop Lovin’ You,” “Georgia on My Mind.” The Genius’ genius lies in his ability to travel from one musical style to another — blues, R&B, rock ‘n’ roll, country, jazz, classical — tying together many threads of our collective culture while maintaining a high level of excellence. His last album, the Richard Perry-produced “My World,” released in March, even explores the new jack territory. Without trying to sound trite about this, Ray Charles Robinson, now 63, is a unique translation of the American success story. Born in Albany, Ga., and raised in Greenville, Fla., he overcame one strike after another. A poor black child in the South in the ’30s, blinded by glaucoma at 7, he studied music and parlayed it into a 45-year career. As an adult, he overcame heroin addiction and has lived to enjoy the fruits of his long labor: induction into the Rock’N’Roll Hall of Fame in 1986, Lifetime Achievement Award from the National Academy of Recording Arts & Sciences, 11 Grammy Awards, Kennedy Center Award, NAACP Hall of Fame Award, honorary chairman of the Rhythm & Blues Hall of Fame. A week ago Wednesday, we talked by phone from his publicist’s office in Los Angeles, one of his infrequent interviews. Thirteen days earlier, he received his latest honor, a National Medal of the Arts from Bill Clinton at the White House. Iggy’s older and wiser, but he still has attitude to spare. Photo by Chris Cuffaro. That’s right. We’re talking about Richard Berry’s four-chord 1955 R&B cha-cha, transformed by the Wailers and then definitively by the Kingsmen into a trash-rock classic. Whether he be a singer/drummer with a frat/garage-rock band; a self-destructive, pre-punk noise demon; or a well-respected, high-energy musical father figure, everything in Iggy’s musical life has boiled down to that one song. It got me thinking of two of the weirdest headlines from my not-very-intellectual first newspaper, the most heinous and evil Waterbury Republican-American. And I thought back to the two wackiest heds I’d seen there. Both were from the mid-’80s. And those two bits of weirdness had me seguing today into my weirdest moment in a decade full of weird moments at a weird paper. And it had to do with a long-ago, long-deceased R&B great. OK, time for five more Five Songs to get you excited (so I would hope) on a Friday. Actually, for the first time — because I couldn’t decide between the two versions, and because I just wanted to have a little fun — there’s a bonus sixth Fifth Song this week … but be warned: It’s definitely NSFW unless you have the headphones on. New Haven native Paul Giamatti’s first leading film role, after over a decade of character parts, is that of Harvey Pekar, a Cleveland VA hospital file clerk, who enlisted some artists to draw a comic book about his mundane life called “American Splendor.” The film of the same name, based on Pekar’s life and books, won the grand jury prize at the Sundance Film Festival this year; it opens locally Friday. Photo by John Clifford. You would think this would be a film’s kiss of death. 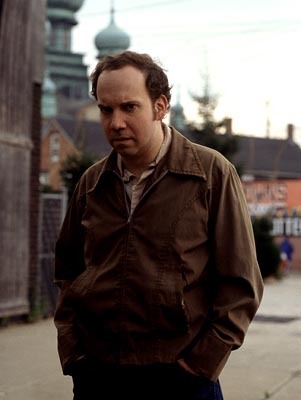 In “American Splendor,” which opens locally Friday, Paul Giamatti plays Harvey Pekar, a longtime file clerk at the Cleveland VA Hospital who with the help of several cartoonists, including underground legend Robert Crumb, created a comic book about his mundane existence. But it’s part of the charm of Pekar — an unvarnished, pessimistic, abrasively honest, obsessive-compulsive-neurotic working-class intellectual. And it sure didn’t prevent the film from winning the grand jury award at Sundance this year. 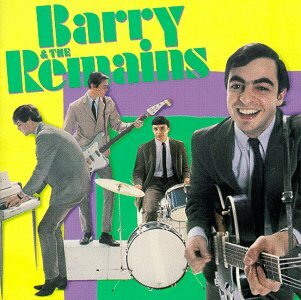 Barry Tashian (foreground), who has gone on to a successful folk/country career, fronted The Remains, a Boston band that had a regional hit with “Don’t Look Back” in the mid-’60s. The drummer, Waterbury native Chip Damiani, lives in New Haven these days. The keyboardist was Bill Briggs; Vern Miller played bass. Chip Damiani of New Haven is a little bewildered. He’s wondering why a rock band he quit 32 years ago is popular enough to be playing a reunion show in Spain next week. Kurt Robinson of Torrington is likewise amazed that total strangers bring up his teen-age band. Damiani was the original drummer for The Remains, a Boston band that achieved fame in mid-1966 — shortly after he quit and just before they broke up — with the regional hit, “Don’t Look Back,” and the opening slot on The Beatles’ final tour. Robinson played keyboards for The Squires, a Bristol-based band originally called The Rogues, which released two singles that got local airplay. These days, “Don’t Look Back” and The Squires’ “Going All the Way” are regarded by aficionados as two of the best rock songs of all time. Those tunes are among the 119 to be found on Rhino’s new four-CD box set, “Nuggets,” which comes out Tuesday. Until now, “Nuggets,” which was also re-released on Sire in 1976, was the only album in Rolling Stone’s top 200 of all time that hadn’t been released on CD. 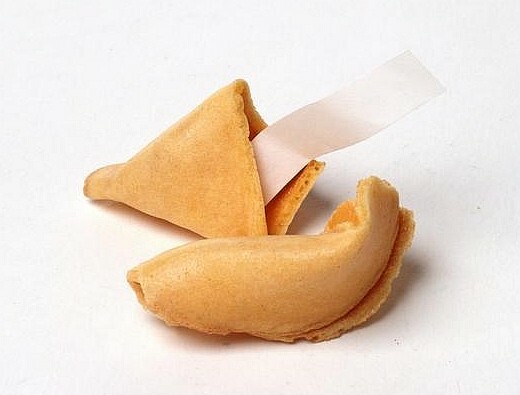 Well, I hope this isn’t the universe playing a cruel hoax on me. Yeah, I should if I had any to hold onto!